I love Sugar and Crumbs and no they have not paid me to write that, I just find them to be a brilliant baking brand to work with in so many ways. I have tried out their icing sugars on a variety of occasions and the flavours have always been immense and so like their title, it’s a bit crazy. Like, seriously, how do they get a bag of what looks like normal white icing sugar to taste like strawberry milkshake, turkish delight or salted caramel to name a few? It just baffles me! A wee while ago I was chatting to the lovely S&C folks on twitter when they mentioned they were working on a new range of icing sugars including one that tasted of milk chocolate. Now, I love chocolate especially Galaxy and Cadbury Ireland Dairymilk (sorry but UK Dairymilk tastes foul in comparison) so I got very excited when they said did I want to try the milk chocolate flavour icing sugar that had yet to go on sale. Unfortunately between one thing and another it sat in my cupboard for a couple of weeks cos if I’m honest I felt a bit stumped on what to bake. I didn’t want to just bake a chocolate cake, I wanted to try something different but I felt like I was having cake block (that does exist doesn’t it? Writer’s block but for cakes?) So, what do I do when I feel uninspired? I pull out my trusty CCC cookbook. Honestly this book really is a cake bible, it has every sort of cake in it you can imagine and so far no recipe has let me down. 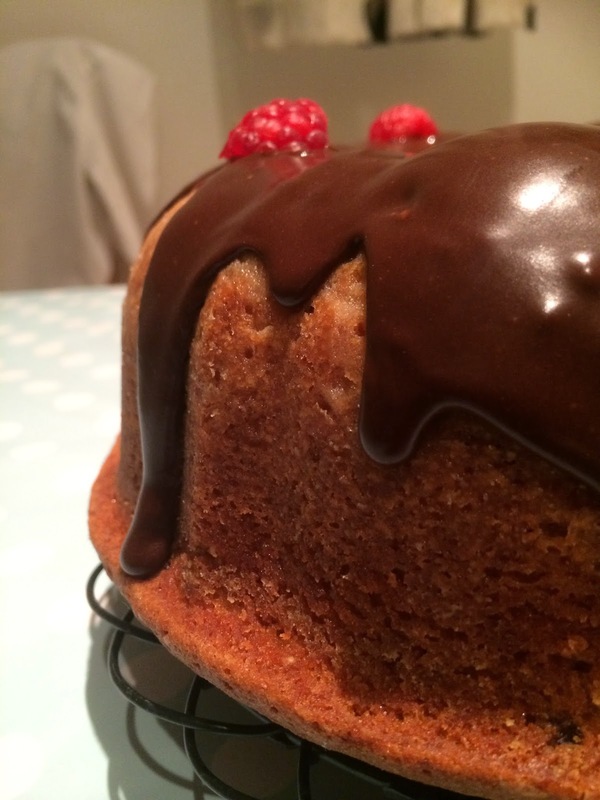 When I spotted Dollybakes Raspberry Yoghurt Bundt I knew that was the recipe I wanted to try but I also felt a bit wary. 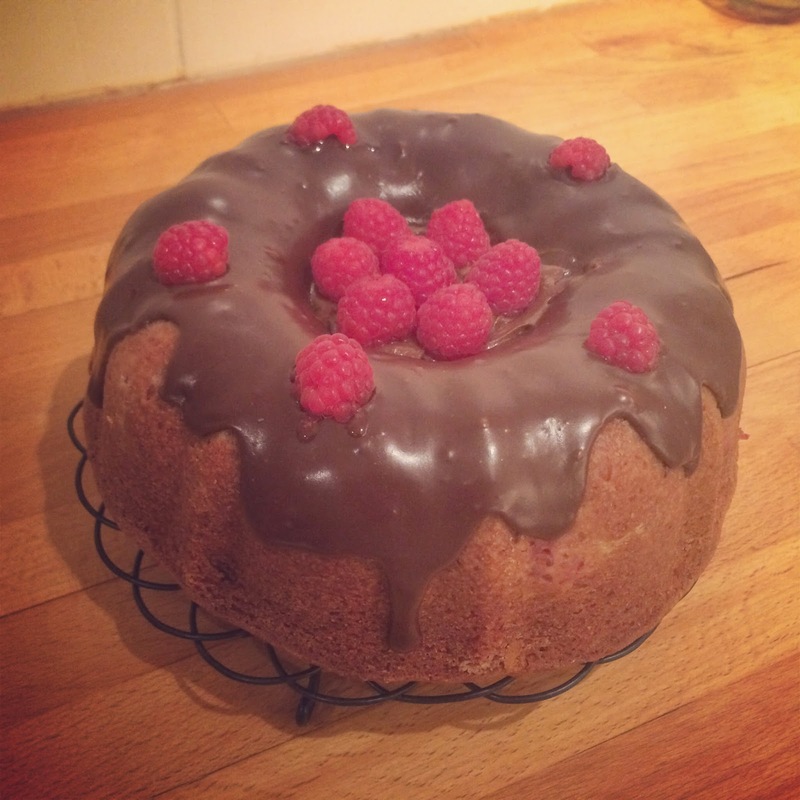 Rachel (Dollybakes) is the Queen of Bundt and it does feel a bit intimidating using one of her recipes. I really didn’t want to stuff it up. 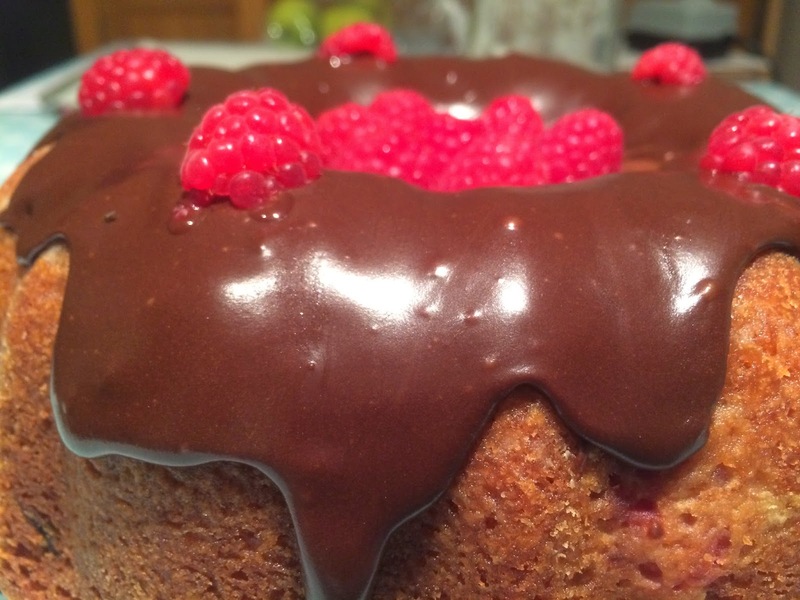 I decided on keeping the sponge recipe the same but knew the S&C icing would work perfectly with the raspberries. I love chocolate and raspberry together (here and here) but I didn’t want to make another chocolate cake so this was the ideal solution. And result? I brought it into work to get everyone’s opinion as there is no way me and Mr T can devour a cake between us especially now I have a wedding dress to fit in to (more about that in another post!) Well, everyone loved it. The said the sponge was the nicest they had ever tasted – credit goes to you Rachel on that one and they loved the icing. 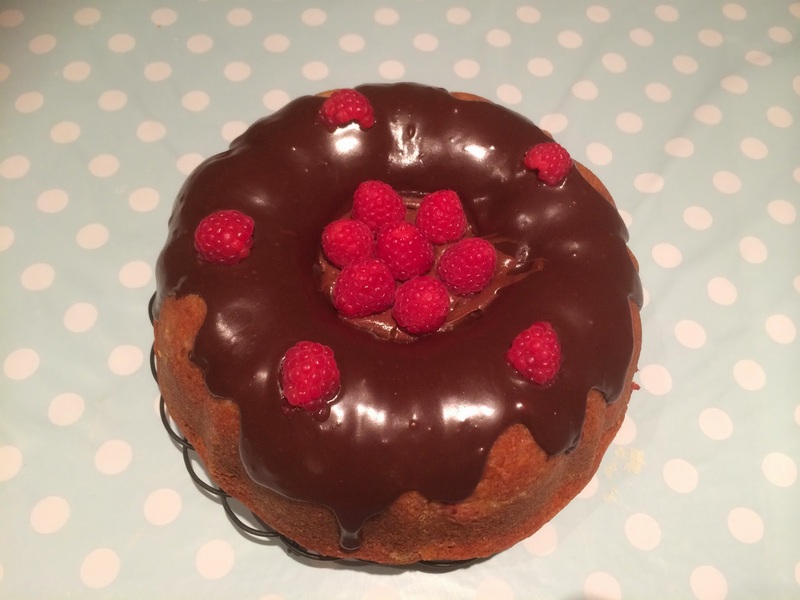 I mixed some of the icing sugar into a glaze for the top and using the rest to make a buttercream centre in the ring of the cake. They all said it really complimented the cake. My thoughts? I feel bad but I wasn’t that keen on this particular product of Sugar and Crumbs and I feel so awful saying so but I think that’s just me being fussy. I’m really particular about milk chocolate and on this occasion I thought it was closer to a dark chocolate flavour rather than a milk. It doesn’t put me off using it again though and I actually used up the end of the pack to make some chocolate cupcakes. I mixed half the icing sugar with normal icing sugar and it was ok. Once again everyone else loved it so I think it’s just me being too fussy. 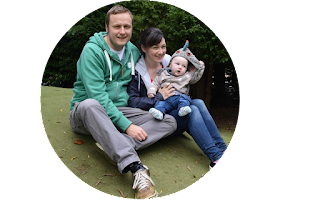 I still love S&C and I will continue to use their products and if you haven’t – why? Honestly they really do produce the best flavoured icing sugar, pay their website a visit and check them out!